This Pineapple Ginger Cleansing Juice is loaded with anti-inflammatory, digestive-boosting and liver cleansing properties. 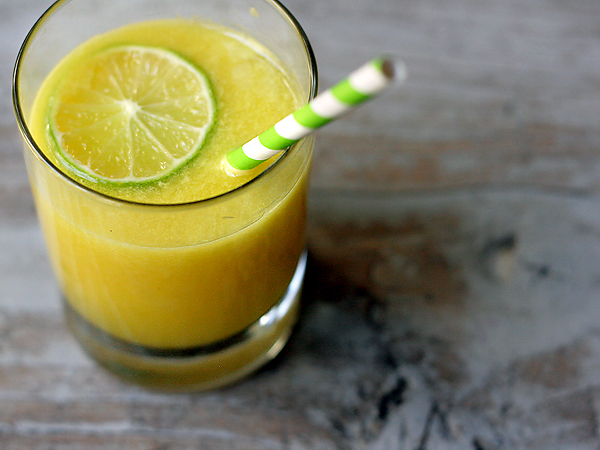 It’s a fresh juice blend made with pineapple, ginger root, turmeric and lime. It’s both delicious and super nutritious. Detox juices are a healthy tool to use to gently cleanse and alkalize the body and shed a few unwanted pounds. It’s important, however, to consume pineapples in moderation because it contains fructose, which can cause blood sugar spikes. Rather than drinking this detox juice straight-up in one shot, I prefer to fill a glass a quarter full of it, add my crushed ice, then fill the remaining with water. I will drink several glasses this way throughout the day, consuming this Pineapple Ginger Cleansing Juice in smaller diluted portions. It’s also good to eat a handful of almonds when drinking fruit juices for the plant protein to balance the sugar levels to keep them from spiking. You can make this in a juicer or a blender (like a NutriBullet). This Pineapple Ginger Cleansing Juice is rich in antioxidants and helps to aid digestion, and gently cleanse and alkalize the body. Pour over a tall glass of ice and enjoy this nutrient dense exotic tasting tonic. 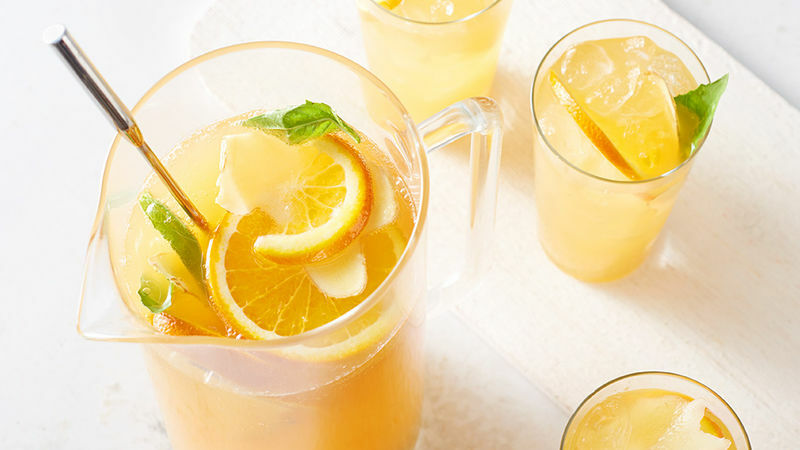 This pineapple ginger detox drink offers a slew of nutritional benefits. Pineapple is a good source of vitamin c (which helps support the immune system) and magnesium (which is essential for proper nerve and muscle function). Pineapple contains a nutrient called bromelain which is a proteolytic that provides cleansing benefits and helps support digestion by breaking down protein. Limes are also a good source of Vitamin C, and contain flavonoid compounds that have antioxidant and anti-cancer properties. Ginger is a potent anti-inflammatory and it stimulates digestion and aids in proper absorption of nutrients from foods. As for turmeric, it’s in the ginger family and it’s a great anti-inflammatory. It offers cardio protection, it helps lower bad cholesterol. It protects against Alzheimer’s disease, and it may help to prevent certain types of cancer, and studies have shown that it inhibits cancer cell growth and metastases (meaning it keeps cancer from spreading).